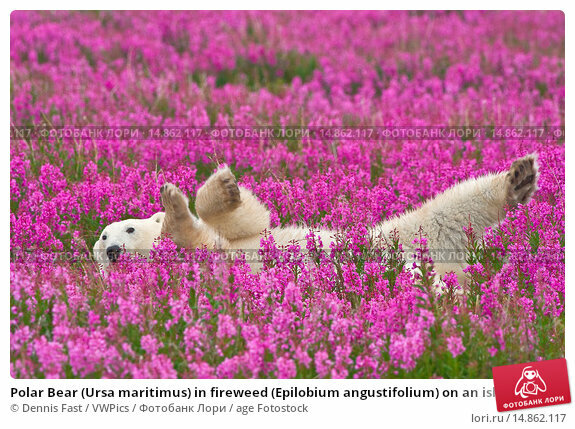 Дата съёмки 2 августа 2008 г.
Polar Bear (Ursa maritimus) in fireweed (Epilobium angustifolium) on an island off the sub-arctic coast of Hudson Bay, Churchill, Manitoba, Canada. Bears come to spend the summer loafing on the island and looking for a careless seal or dead whale to wash up. Global warming has shortened their winter so they are increasingly looking for food in the summer.